0 - 6 months; Products are fully refundable so long as the part is in its original condition and packaging. 6 - 12 months; Products are refundable but will be charged a 25% restocking fee. The parts must be in its original condition and packaging. 1 year and later; products are non-refundable. Special order products are non-refundable. *Product returned without original packaging may be subject to a re-packaging fee of $10 per part. *Any part that is purchased as a non-stocked special order item and fits a vehicle 10 years or older are non-refundable regardless of the purchase date. *You have a maximum of 14 days from the order date to report any damages for exchanges or warranty. Products sold by APT are under limited lifetime warranty for any manufacturing defects in material and workmanship. You must be the original owner of the vehicle and a copy of the invoice must be provided. *Lifetime warranty excludes cooling and electrical products not limited to: radiators, A/C condensers, cooling fans, mirrors, regulators & reservoirs with motors. These products have a 2 year limited warranty. 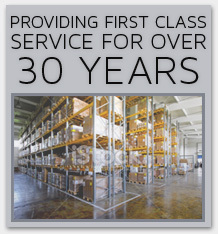 *For commercial vehicles we offer a 1 year limited warranty on most products. This excludes radiators, A/C condensers, cooling fans, mirrors, regulators & reservoirs with motors. These products have a 6 month limited warranty. If you require labour time or a discount to fix a damaged part, you must contact us for approval before the product is altered. We may require pictures of the products. We must receive the claim within 30 days of the invoice date. Any claims outside the 30 day period will be denied.